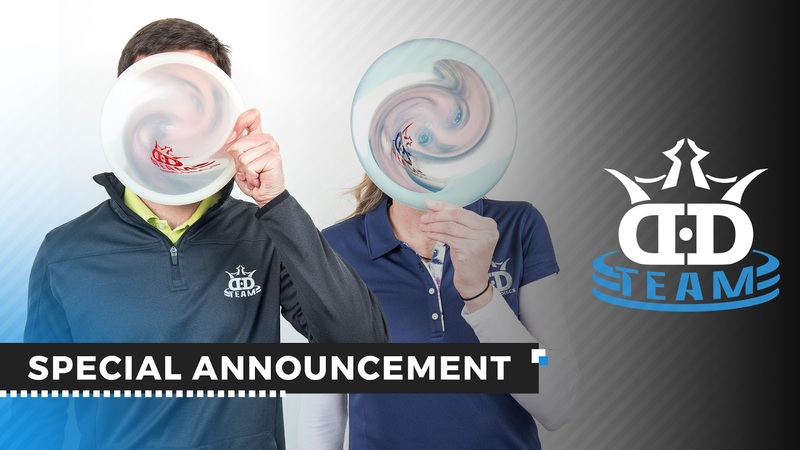 This time of year is usually when we start to hear about players making sponsorship changes, and we’re proud to announce that we’re making a big addition to the Dynamic Discs team for 2018! Zoe Andyke and Dustin Keegan, both representing the beautiful state of Oregon, will be joining us and helping to spread their love of disc golf throughout the entire country. The two players work together to run Disc Golf Universal Play, a non-profit organization that partners with schools across the nation to teach disc golf to students. DGUPlay reached 6,393 students in 2017 alone and is ready for incredible results this year with the support of DD. Their goal is to more than double the number of students they reach and to bring DGUPlay with them on the National Tour! With any sponsorship change comes the task of learning a new line-up of discs, but it seems like Zoe and Dustin have that part figured out. Already comfortable with four of the DD molds, Zoe is going to rely on the Defender, the Truth, the Suspect, and the Deputy. Dustin also has a few discs lined up for his bag, and like Zoe is all about the Defender. The Truth will be one of his go-to discs as well, and he’s really excited about using the Dagger as his putter. Click here to watch Zoe and Dustin’s full video announcement about making the move to Dynamic Discs. We couldn't be happier to welcome them to the team and are excited to see what 2018 brings!